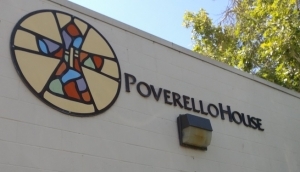 FRESNO (KMJ) — Downtown Fresno’s Poverello House is being sued in federal court by nine women who say they were subject to sexual harassment by a transgender individual, and that staff failed to take action to stop it. The complaint adds that staff at Poverello House refused to take appropriate disciplinary action when they were made aware of it. “Naomi’s House, as a part of their federal grant, have to take transgender men who identify as females in there,” explained the defendant’s attorney Peter Kapetan. The complaint alleges that the reason why staff did not make efforts to resolve the situation was due to concerns regarding federal grants. It also says that staff threatened the women making the complaints with expulsion if they refused to take showers with the transgender individual. “That’s what makes this, I think, a fascinating case from a legal stand point and just from a social dynamic stand point,” said Kapetan. “The Poverello House and Naomi’s House do receive HUD funding and as such they are mandated by federal law to accept transgender individuals, and you have to accept them in regards to the gender they identify with. In a statement to KMJ News, Poverello House’s legal counsel said that it is unable to comment on the litigation due to privacy and HIPAA laws. The case is scheduled to be heard in 2020, but both sides are eager to expedite the hearing.